Last Sunday (a week and a half ago, almost), I got another year older. It’s funny how birthday excitement has the tendency to wane as you get older! Though perhaps that’s not a good way for me to look at it — it would be better to think about being blessed with another year instead of having a hum-ho attitude of ‘oh, just another year’. Maybe birthdays can be more of a celebration of what God has done for us over the last year? I’m currently reading One Thousand Gifts by Ann Voskamp, and it’s GOOD. She talks at length about thankfulness — something I have much to learn about. It’s one of those books that might just change how I think about some things, for the better. I’ll do a review on it when I’ve finished reading! Now onto some birthday info. :-) I got spoiled with a very nice breakfast of currant scones and a delicious fruit salad made by Eva (it was so nice to have Hannah and Eva still here for my birthday!). After breakfast we took the subway up to Redeemer Presbyterian where we had the good providence (1 in 5 chance!) of seeing Tim Keller. He preached a good sermon about the Shepherd and the sheep. I was quite happy that we got to hear him ‘in person’ — he preaches just as clearly as he writes. After that we headed home, I had a nice skype call with my parents and then made dinner. 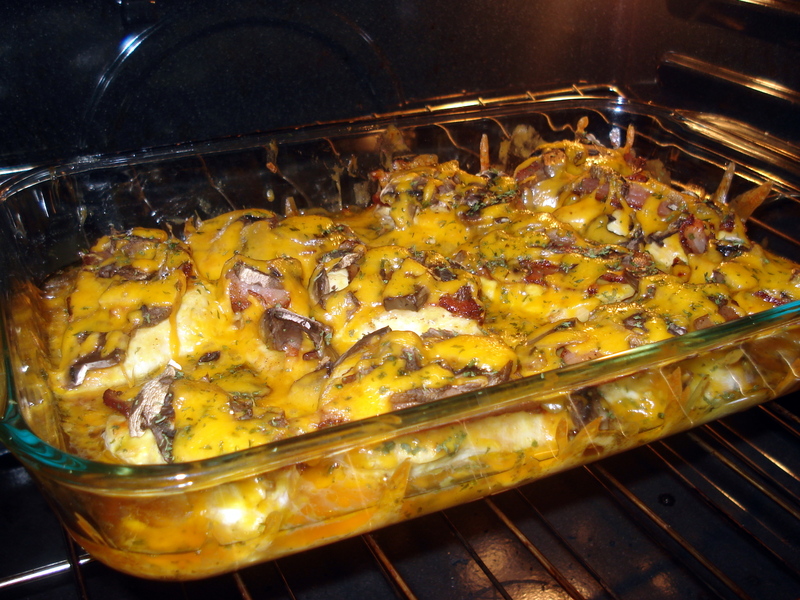 We had yummy Aussie Chicken (oh yeah!). It was a nice low-key day that I was glad to be able to spend with some extra family. 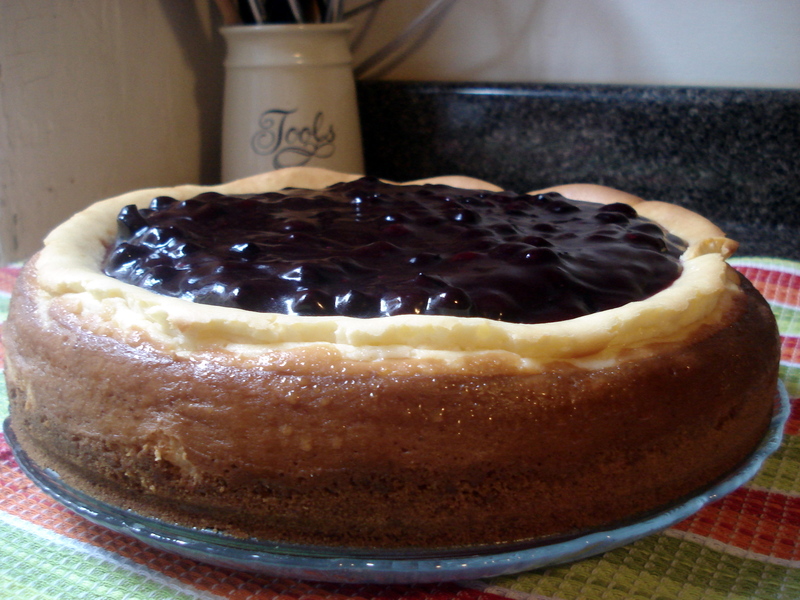 For a birthday cake, I made cheesecake with blueberry topping. Definitely worth trying! Though I should add that it does make a very big cake — so be sure to have lots of people to share it with if you make it! So, a year older. But hopefully not only a year older but also a year maturer. :-) Or if that’s not the case, that’s my hope for the next year! Oh, and thanks so much to all of you who sent birthday wishes and/or gifts — they were very much appreciated! I love you, and I am grateful to have been a part of your life during your previous year. I am not sure if you received my birthday text, but I was certainly thinking of you on your special day. May each year of your life be happier and more fulfilled than the last. Be blessed! Hmmm, not sure I got that text, but thanks anyway! Thanks, Anna! 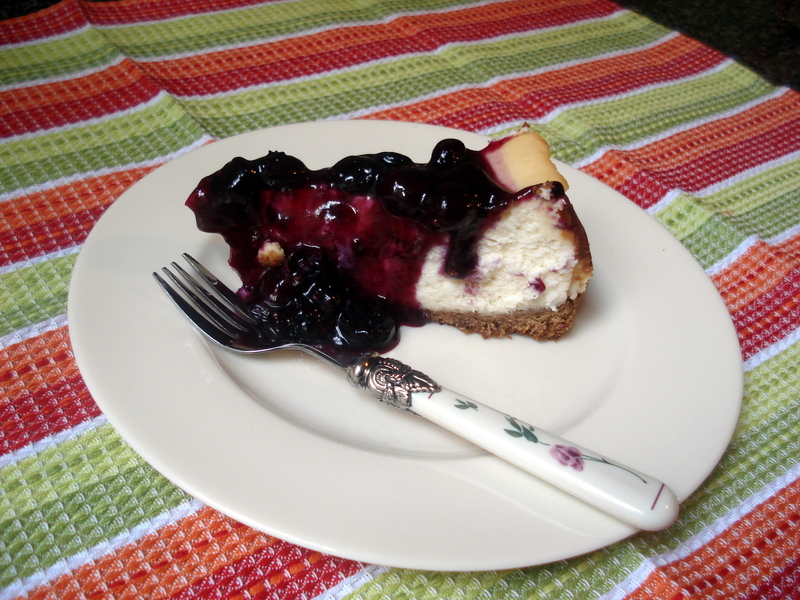 Definitely a memorable cheesecake. Most delicious and worthy of repetition.